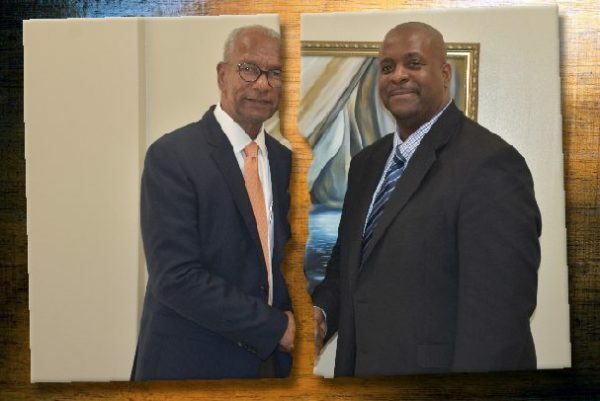 At a time when the United Kingdom is being accused of breaching the Virgin Islands Constitution, accusations are also being fired at the Premier Dr D Orlando Smith Administration that they too have violated the territory’s Constitution. This latest attack on Dr Smith’s Administration came from Opposition Leader, Andrew Fahie. Fahie shot fresh fire at the government for having years of outstanding financial audits, among other things. “Unaudited financial statements are a breach of our Constitution. Seven million dollars for a plane that will not fly is a breach of our Constitution. Thirty million dollars over expenditure on the Cruise Pier Project is a breach of our Constitution. They all must stop,” Fahie said. Fahie’s statement follows recent demonstrations of unity between him and Premier Smith in response to the UK’s public registers controversy. Both leaders have described the UK’s decision to impose these public registers on the BVI as ‘constitutional overreach’. But despite this seemingly short-lived unity, Fahie said he has a responsibility to “protect the Virgin Islands Constitution Order 2007 against any violations locally, regionally, and internationally”. “If the UK is violating our Constitution, it must stop! If the National Democratic Party government is violating our Constitution, it must stop,” Fahie said. As I’ve pointed out many times our illustrious Premier who is also Finance Minister has indeed failed annually every single year to issue even one set of audited financial statements which is a disgrace so Andrew Fahie is correct here. Although I’m not sure the VIP party were any better….regarding unconstitutional I’m not sure but it helps explain why he now is so against the BVI taking the lead on anti money laundering legislation…. @Sam the @$$, What the UK is doing is not anti money laundering legislation. The BVI already has top notch AML legislation. If one is old enough, one knows of the three stone cooking method resulting in a blackened kettle and or pot. Factually, the current governing party is no less or no more transparent, corrupt, embezzlers and constitutionally inept practitioners than the past ruling VIP governments. The sad truth is, those who are now in and or seeking office are pregnant with one seed, the seed of green g——, and can’t wait to sell our lands, country and heritage to the richest white man as they enrich their accounts.. So, our country will never excel into the future and grow because the is no leadership currently that sees and will work for country and citizens first before self. Just look at the four decades the VIP suffered its people to slave wages by scrupulous investors and inferior government employee salaries. Our history is rich with economic oppression, political self enrichment and other.Yet, many will try to fool the general populace that it is the NDP doings. Not so, they have all been playing the same game with same balls and bats. It is a very sad state of mind when a large segment of the populace possess little to no confidence in government and leaders to do work for the people and not themselves. A sad political day we now live in. I agree every single member of the — is just in it for what they can get – they will pontificate, promise loads and then fill themselves in the trough of greed – a very sad set of politicians indeed….I blame the cookie monsters example although now they don’t care if they get caught in the jar! The NDP can’t represent us against the UK because they are COMPROMISED due to their many wrong doings. That’s a true statement off the current goverment but its a statement that applies equally to the opposition and those in it that want to lead. The present goverment is corrupt and 0the opposition is currupt and I say all of this as a planket statement to cover both parties and all their higher up members. And those who follow or believe either of them are concerned for or care about the B.V.I. first are either blind, deaft or stuppid. The VI needs stiffer legislation to safe guard against corruption which is now running rampant in government. Maybe the ceo of BVI airways will tell us if there was any payola involved in that scheme in exchange for not prosecuting him? What say you? How can we amend our laws to prevent this from happening again? Let’s put VIP back in, what are we waiting on? Remember how bad NDP were 2003-2007 and how VIP rescued us and we had golden years from 2007-2011? Oh wait!! 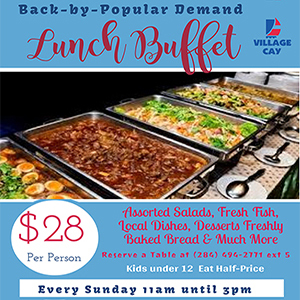 !……….The people of the BVI may get their way after all and have their country all to themselves. that’s what they would want us to believe. I agree “pot calling kettle bottom black”. not all of us have short memories. This person is certainly not part of the solution if you ask the right person. Speak for yourself because you are in the minority. Fahie will be an excellent leader. Invest time and money into these ten most valuable high tech companies in the world and you would generate billions of dollars in revenue for the British Virgin Islands. Move away from focusing on the off shore industry. Put you money where you mouth is. Talk is the cheapest form of imitation. The BVI need is a group of young leaders who are God fearing and trust worthy. People who will be good stewards of the public purse, We need people like Benito Wheatley and the likes but to bad there are so few who will be able to step up to the plate.